Pedion: Journal #16 - Getting closer to the Urban Tiles Kickstarter! Journal #16 - Getting closer to the Urban Tiles Kickstarter! If you are interested in supporting Pedion in this Kickstarter (we hope you are!) and want to get a timely invite so you can grab some early bird stuff, you can always join with your email our "heads-up" page. There you will find a short description of the intended campaign, as well as more elaborate info on how we think of running this project. We are adding the final touches to the campaign and crunching some numbers, so the campaign will probably launch on these first days of March. 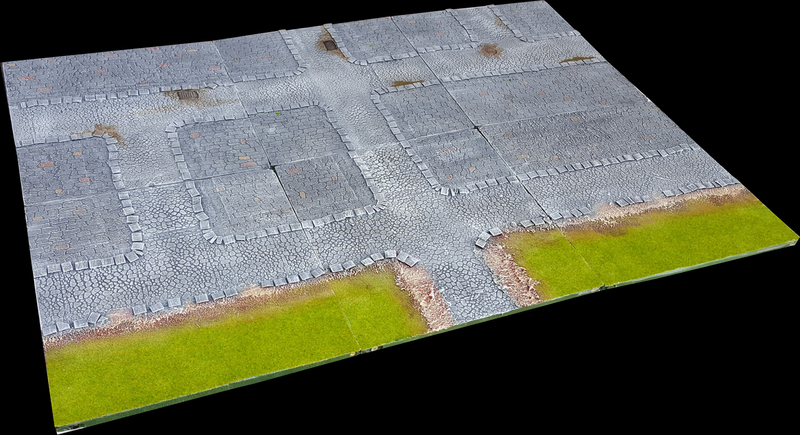 Right now we are preparing prototypes for our many Stretch Goals, since we want to really enhance the Urban Battlefields with exciting ideas that will take your urban terrain to a whole new, not-seen-before level. City harbour tiles, to represent seaside/riverside settlements, with the use of our beautiful liquid glass water effects. Do these sound exciting? we certainly think so, and founding the KS will be only the beginning. We hope to see you all there!